My family has been farming olives in Corning for four generations now, and the very first generation made olive oil on one of the very first stone mills in the state. Most of our olives have been sold for table, however, when I came along a majority of the fruit transitioned to olive oil. 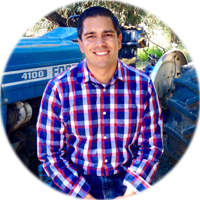 I’ve been in the California olive oil industry for almost 12 year now, essentially “growing up” selling and marketing olive oil and gourmet food. I love it, and will soon be launching my new brand: Wild Groves. My family’s grove (Dad & Mom) is on one of the original establishments of Corning, established in the 1890’s. They have century-old Sevillano on the property, younger Manzanillo and my favorite, and big award winner, Ascolano! I actually helped to plant both of these varieties on about 10 acres by hand with the rest of my family over 25 years ago. My job growing up in the summers was to take care of the orchard…repairing drip, suckering trees, mowing, pruning, etc. I loved it. A creek runs through a corner of the property, so we have wildlife coming through our grove regularly, including a family of foxes that has lived there for years. These foxes are the inspiration of the new brand and logo (Wild Groves). A perfect day for me is always going to be spent with my family. However, I love getting in a hard day’s work, so getting up early is a good start for me when I can get emails and social media planning out of the way for the day. Then, I would enjoy a huge pancake breakfast with my two boys Hunter and Wyatt with my wife, Katie. The perfect day would have to include some mowing with the boys around the house or in the field (they love it!) and then jumping in and out of the pool no less than 50 times with the boys. The day would end with bread dipping into olive oil and balsamic, which has become a family staple for us nightly. Olive oil has its own food group in our house! 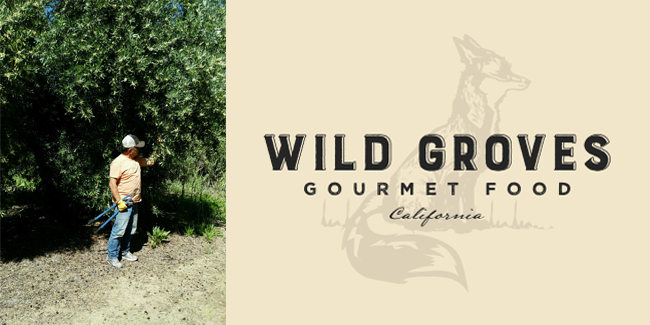 You’ll be able to find my products very soon at my new company: www.wildgroves.com.